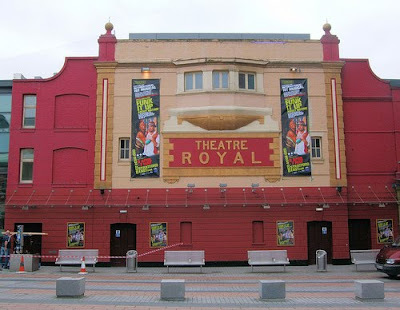 In an area which has undergone many changes over the years, the Theatre Royal Stratford East is a constant, tracing its history back to 1884, when actor-manager Charles Dillon engaged architect James George Buckle to convert a wheelwright's workshop into a permanent playhouse. Today, the Theatre Royal Stratford East offers world-class productions in a Grade II listed theatre which maintains much of the Victorian charm which has helped it to woo audiences for more than a hundred years. My favourite theatre - I love all its red and gold slightly-threadbared-ness. Absolutely, it's a lovely theatre and very impressive inside. In fact, I think you were there last time I was!